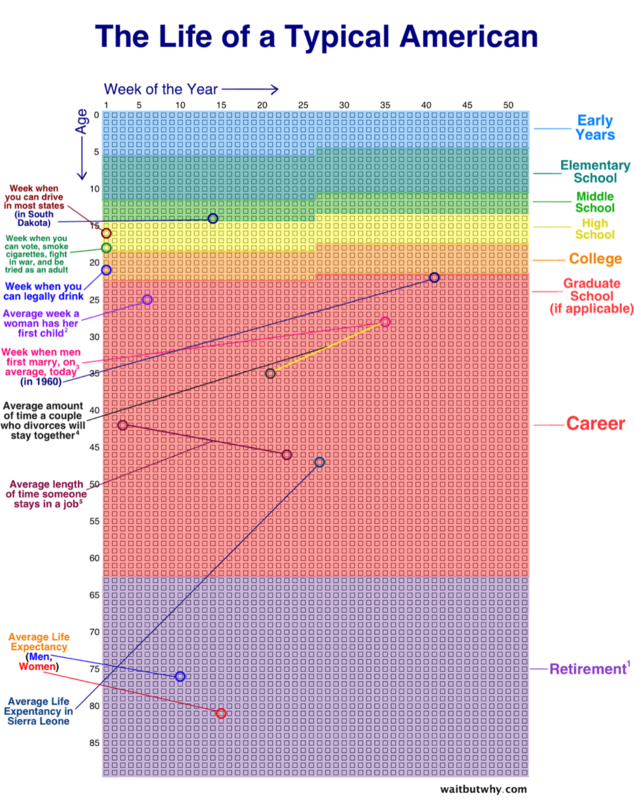 How often do you think about your life? That’s the question, legendary writer, Tim Urban proposed on a blog post, titled “Your Life in Weeks" back in 2014. 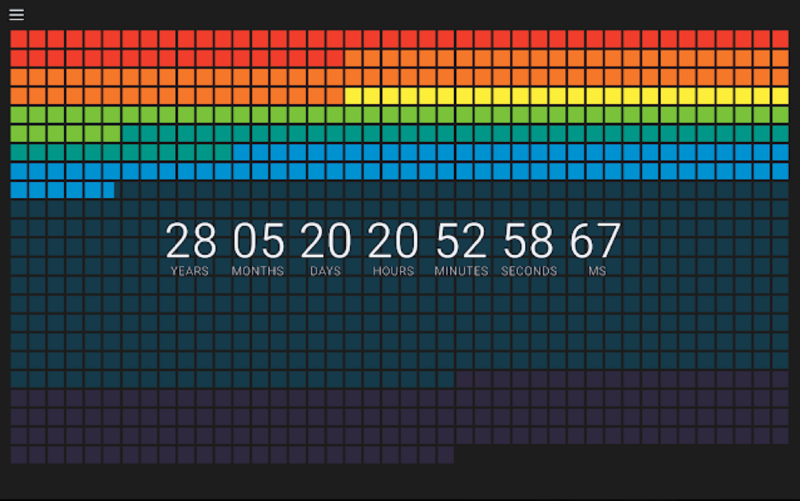 He showed variations of a calendar not from the perspective of a year, but an entire lifetime. The goal of Tim’s post was to help us all live better lives by helping us understand the finite amount of time we’ll have to live it. To cite Carl Sagan, every king and peasant, hero and villain, every young couple in love, every mother and father, hopeful child, inventor and explorer, every corrupt politician, every supreme leader, saint and sinner all lived their lives within the confines of a life calendar. Tim teaches us that we can either live our life by enjoying the present, (hoping not to succumb to instant gratification monkey) or work at the expense of our present selves to improve our future selves. Sometimes we find ourselves neither feeling happy nor working towards building a brighter future. We can find ourselves living day by day feeling depressed, frustrated or upset; whether be due to having the wrong career, relationship, self-discipline or some other debilitating condition. In my own journey of personal growth, as detailed in my short book, Life Optimization 101, I came to the conclusion that regularly reflecting on my past was one of the best tools to personal growth. It took many years to build up a habit of journaling regularly though. Short of having a therapist, one of the best ways to improve yourself is through a combination of mindfulness and self-reflection. These can be difficult habits to maintain, let alone start though. Tim’s Life Calendar offers an easy way to start the practice of self-reflection with something that doesn’t take more than a minute or two each week. I reflect on how each week anywhere from 30-60 minutes each week, but the gain I get from doing this over reflecting for 5 minutes might only be 50%, whereas the gain one could perceive from reflecting 0 minutes each week to just 5 or 10 is likely to be more like 150%. Reflecting in the form of a Life Calendar has a very little downside and a much bigger upside. It allows you to get your feet wet and will make it easier to establish a more long-form reflection practice in the future. 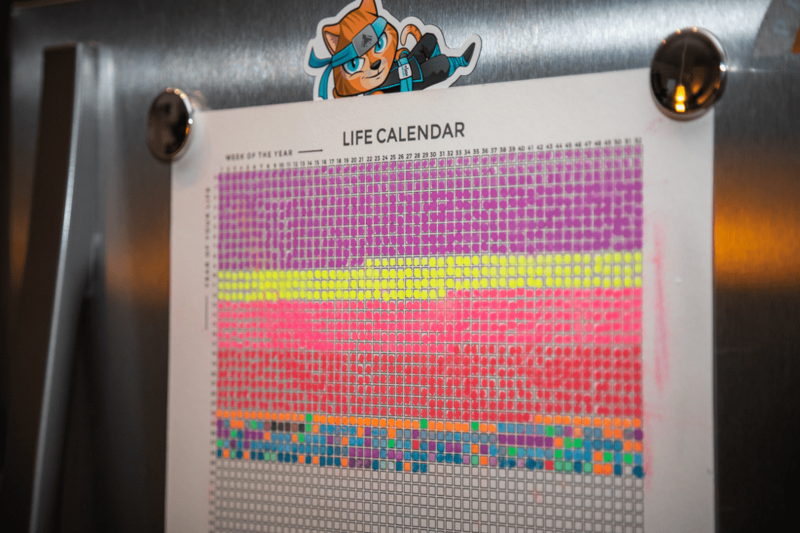 My refrigerator contains a small version of the Life Calendar poster where I update weekly with a new colour to represent how I felt about that week. ● Green = Amazing Spectacular week! ● What went really well this week? What did I do that worked? ● What got in the way? What didn't work? ● How might I approach things differently in the future? We all have days that feel amazing, followed by days we hope to never repeat again. The key to decreasing the bad weeks and increasing the good weeks is by reflecting on what made them so. 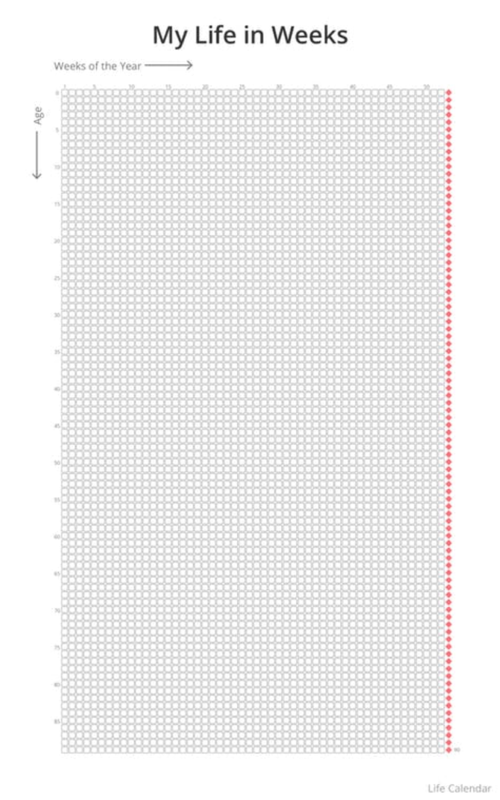 Having a Life Calendar isn’t going to lead to any shift in thinking, at least not immediately. You may never be able to correlate any changes in your life back to this habit, but you’ll likely be able to look back a few years after this habit and find that your life has improved for the better. Since Tim Urban published the Life Calendar post in 2014, he’s inspired a movement of entrepreneurs and creatives to start regularly reflecting on their lives. I’ve done the research for you and listed the top ways to incorporate a Life Calendar of your own into your life. The original poster that inspired it all available presently only in 24” by 36” size. It’s great to have a physical reminder of your life, perhaps taped up in your bedroom or refrigerator. This is my favorite solution as you can update it wherever you are even on the weeks you travel. It’s synced across iCloud so your data is safe even if you lose your phone. The app itself is free with an in-app subscription of around $3/mo for additional customization options like icon and color variations for each week. I’ve found the free version to be good enough for most users though. Why not remind yourself you’re going to die every time you open up a new tab? I’ve found this to be a great way to help prevent procrastination as you momentarily contemplate your existence before choosing to open a distracting and time-wasting website. The extension is totally free and offers a way to track upcoming deadlines and even population growth. Short of doling out money for a physical poster or app, this is the next best thing. 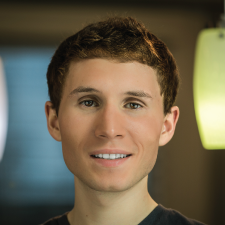 Created by Felix Krause, a successful software engineer, it serves as a template anybody can copy and modify to suit their own life. 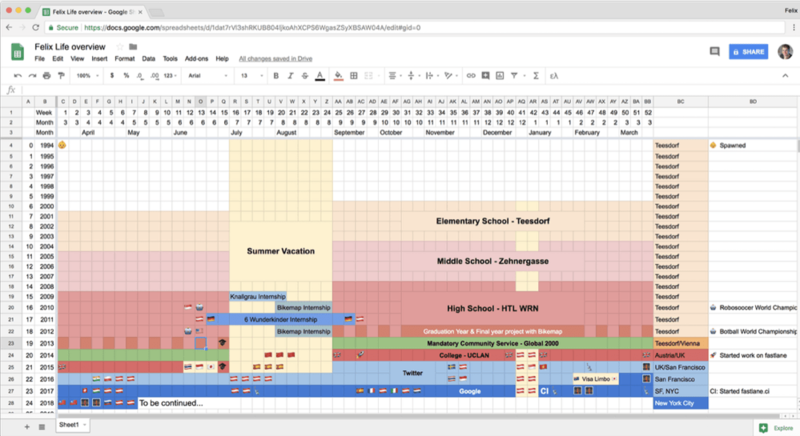 With Gsheets built-in ‘Undo’ function and great mobile apps, it’s a highly functional online life tracker. This one is a bit different than any of the other methods but is arguably also one of the most interesting. 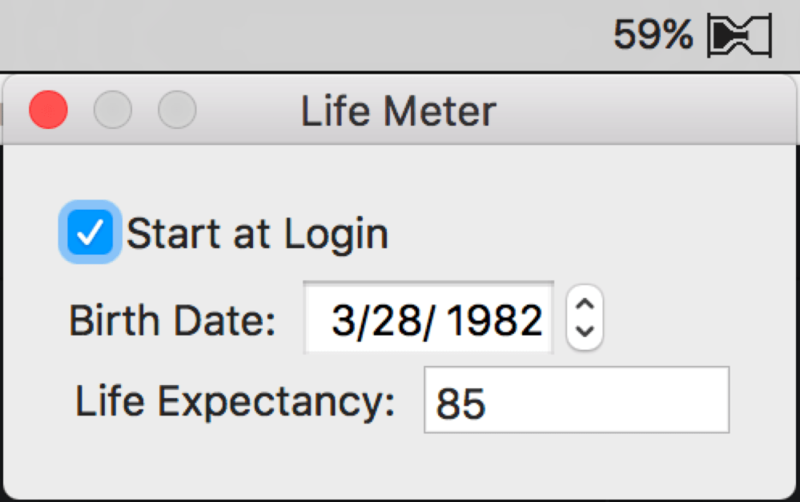 All you do is enter in your birth date and it lives in your Mac’s menu bar showing an approximate percentage of how much of your life you’ve lived to date. Perhaps not everybody would like such a visceral reminder of their mortality, but if it helps you procrastinate less then it’s worth a try.